Who wants to get all dressed up to head out in January? Half of us hadn't been paid yet and just the thought of bare legs in the biting wind is enough to put me off. For me it's all about the girls nights in. 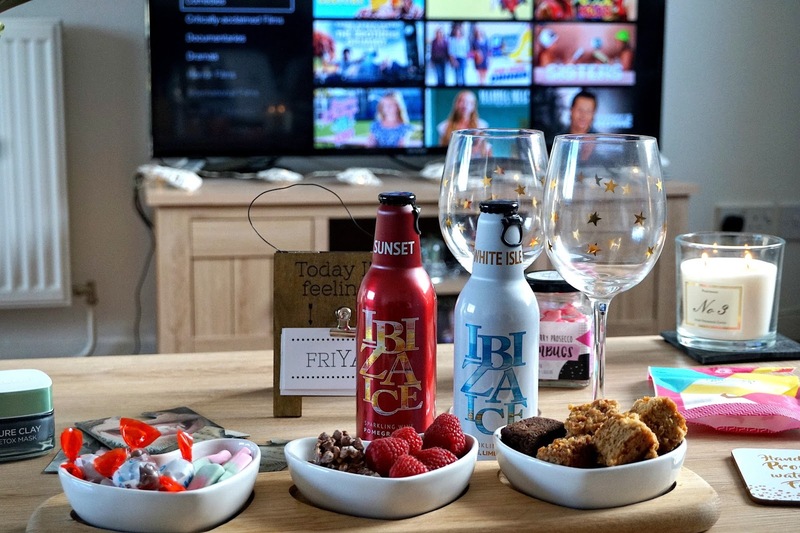 On Friday night after a long week one of my work besties came round for a girls night in packed full of wine, snacks, Netflix and chatting. A perfect combination to unwind and catch up properly. So I might not have completed a dry January but I've not been drinking a whole lot so I was looking for something light and fruity, and low calorie to stick to Slimming World as best as possible. Something that caught my eye in Spar was the Ibiza Ice Sparkling Fruit Wines*. The bottles are 330ml so we could enjoy a glass or two and not have any waste (No one wants to waste wine!!) 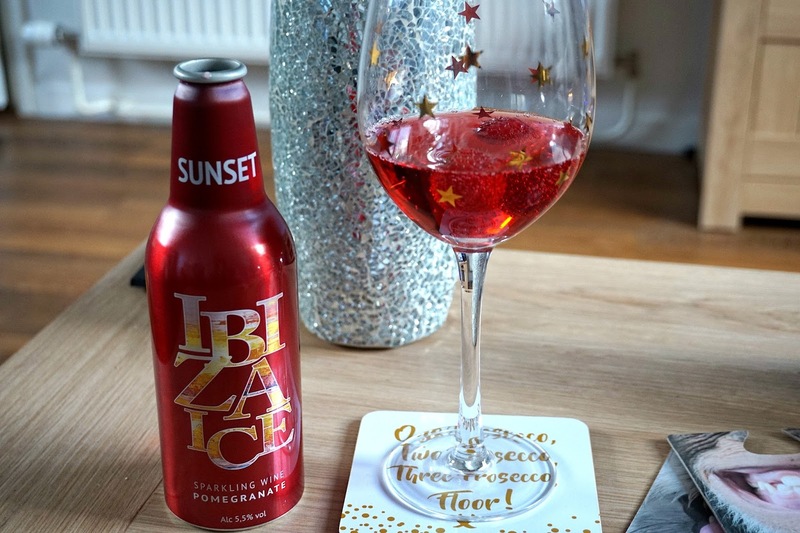 Ibiza Ice is about 200 calories per bottle with natural flavours, reduced alcohol (5.5%ABV) and absolutely delicious - without being completely off plan. Ibiza Ice comes in two flavours and I obviously had to try them both. White Isle is a sparkling fruit wine with lychee, lime and watermelon. It's recommended with lime and mint leaves but I stuck to plain and simple raspberries. It had a really subtle fruity taste and reminded me of a fruit cider. Sunset is a sparkling wine with pomegranate. Again a really fruity wine but this one was drier than White Isle. They recommend having it with a slice of orange but with only satsumas to hand I thought I'd make do with raspberries. 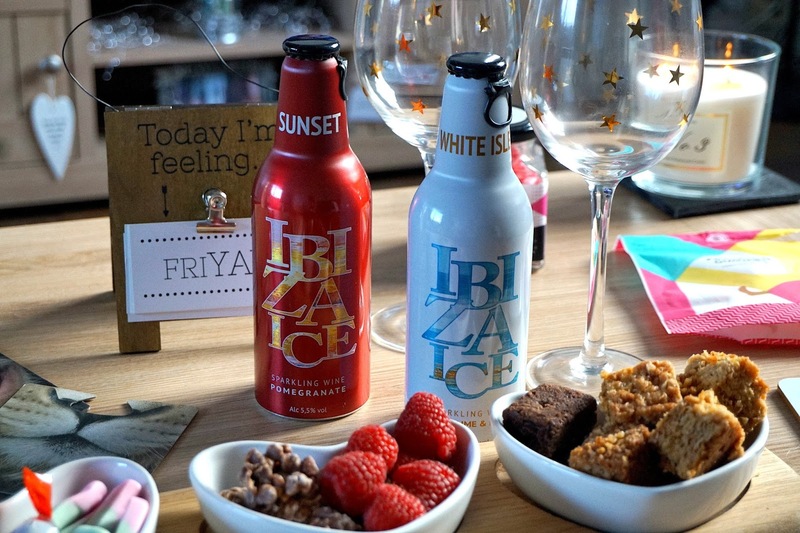 The Ibiza Ice bottles are aluminium which meant the wine was cold without bothering to put them in the fridge. They're be quite good for a picnic or festival in the summer. The cap is ring pull too which is a little bit different, no bottle opener necessary. 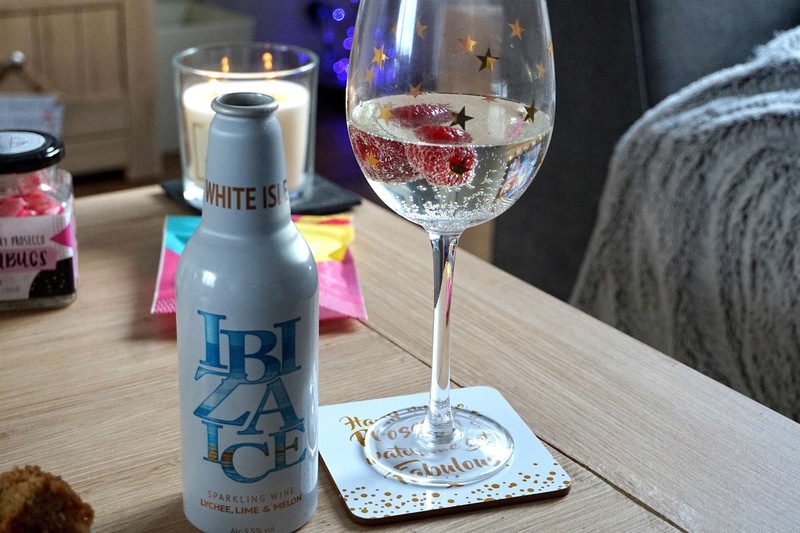 If you're not in Scotland and able to get to a Spar shop then Ibiza Ice is available from DrinkSupermarket for £2.49 a bottle or on Amazon for £3.99. Worth checking out, White Isle was my favourite. We couldn't have wine without some snacks too. I made sure to keep them low Syn with Squashies, Kinder Choco-bons and Crunchie Rocks. The Brownie Bites, Flapjack bites, Prosecco Humbugs and Prosecco Gummies weren't quite as low Syn but they were worth it. We got the face masks out with L'Oreal Pure Clay Detox and Glam Glow Thirsty Mud Treatment while putting our feet up and watching some chick flicks on Netflix. You can't go wrong with Bride Wars and Bridesmaids. 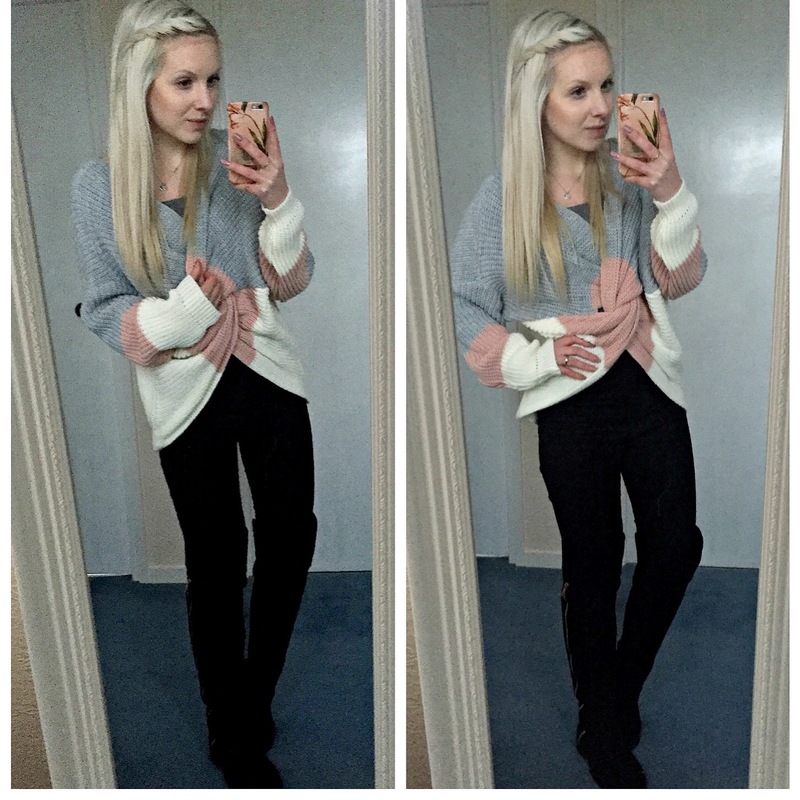 A girls night in January isn't complete without a cosy jumper. This colour block twist front jumper is from Wearall. 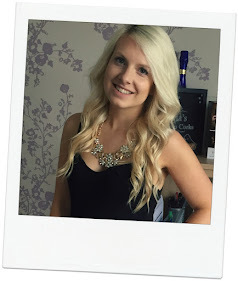 It's got a plunge v neck and back and looks great with a pair of high waisted jeans - my absolute favourite. I know I was staying in but an outfit isn't complete without shoes so I wore my Primark over the knee boots for a bit of sass before replacing them with my slippers an hour or so later - so stylish! A lovely Friday night and I was able wake up on Saturday morning feeling fresh and still weigh in with a 1lb loss. Thank goodness for flexi-syns.